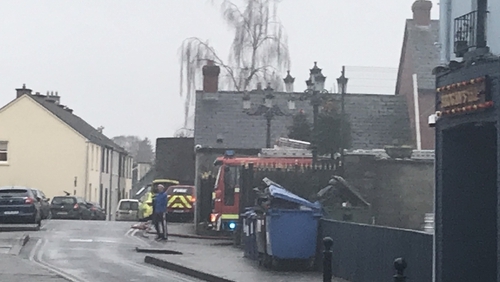 Fire services in Kilkenny have contained a fire which broke out at a hotel and nightclub in the city this morning. Emergency services were alerted after the fire began at Langton's Hotel on John Street shortly after 9am. Part of the kitchen area in the venue has been extensively damaged by the blaze. However, there have been no injuries reported. Langton's Hotel contains a restaurant, several bars and a nightclub, as well as the Set Theatre venue.